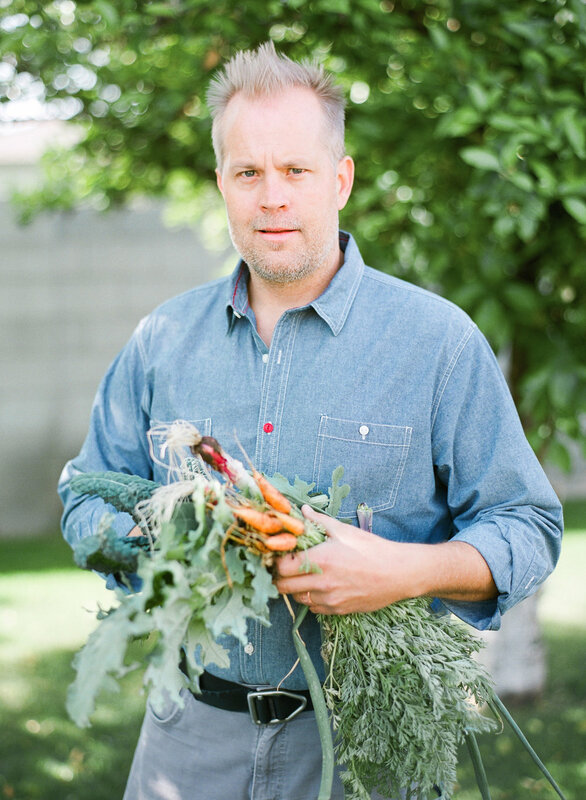 An Arizona native, Aaron Chamberlin has a family history in the restaurant business that dates back to the 1930s. Growing up with a photo of his grandfather in a chef coat proudly displayed in his family’s kitchen, Aaron knew his destiny at the age of nine. His journey to become a chef and restaurateur was heavily influenced by his time spent in the Boy Scouts during which he learned to cook by fire, a method he still embraces today. After moving to New York City to pursue his career as a chef, Aaron had the opportunity to train alongside notable chefs including Daniel Boulud and Jean-Georges Vongerichten and then moved on to San Francisco where he honed his skills at the James Beard award-winning restaurant Boulevard, and Rubicon, the celebrity-backed restaurant that produced some of the San Francisco’s top chefs. Aaron returned to Arizona looking to set down roots, and in 2009 he launched St. Francis at the crossroads of Central Avenue and Camelback Road in uptown Phoenix -- where no other locally-owned restaurants existed at the time. In deciding what type of cuisine to offer, Aaron embarked on his research the old-fashioned way, making his way through the surrounding neighborhoods, introducing himself to neighbors and getting feedback on what was missing from the area’s dining scene. Fast-forward eight years to today, St. Francis is considered one of the most celebrated restaurants in the Valley, continuing to nourish the community with simple and fresh cuisine everyday. At the heart of St. Francis, a wood-burning oven bakes fresh breads daily and roasts signature dishes, while memorable vegetable-based entrees and small plates are crafted from seasonal produce delivered daily from local farmers. With a desire to expand his approach of bringing the local food community closer together, Aaron opened Phoenix Public Market Café in 2012. A casual urban hangout, the café features health-focused dishes from hearty sandwiches and flavorful salads to wood-roasted rotisserie meats and dishes made with ingredients sourced from the adjacent farmer’s market. With seven pastry chefs on-site, the café has also become the largest bakery in downtown Phoenix, serving fresh pastries to the public and providing daily baked goods to local coffee shops. At home with his wife and sons Arturo and Schaefer, Aaron spends time in his garden everyday teaching his young boys about how food is grown. Most weekends Aaron can be found entertaining family and friends in his backyard cooking local meats and homegrown vegetables over an open fire.